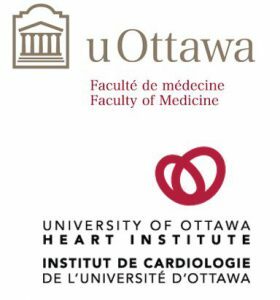 In partnership with the Faculty of Medicine of the University of Ottawa, the Department of Surgery is pleased to announce the competition for the 2018-19 Research Program Awards. The Department of Surgery is pleased to announce the competition for Year 3 (F2018-19) of the Research Program Awards. Research Program Awards will be allocated to proposals for research programs within the Department of Surgery, focused on clinical, quality improvement, education, or translational research objectives. Up to three separate programs of research will be supported, including a combination of new and established research programs. Annually, the Research Program Awards of the DoS grants funding up to $120,000 over two years (i.e., of up to $60,000 per year) for new research programs and established research programs. The programs of research will evaluate novel strategies to transform surgical care delivery. All participating academic surgeons are eligible to apply. New research programs are currently unfunded and defined by a novel focus, hypothesis or question, to be submitted by any (i.e. new or established) investigators, and have plans for sustained inquiry, research personnel, multiple publications, and external grant applications. Established research programs are defined by existing and sustained inquiry, existing research personnel, multiple publications, and presence of external grant funding. Research Program Awards will provide support for research personnel to conduct clinical, translational, educational, and quality improvement research aiming to improve short and long-term patient outcomes. 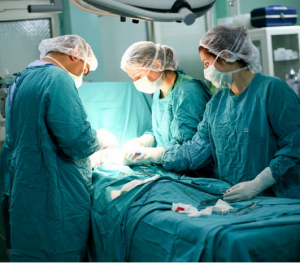 Funds should be used to support the human resources necessary to implement, test and/or evaluate new concepts and modes of surgical care delivery. 2. A proposal must have the support from its division chair prior to the submission to the selection committee (and supply a letter indicating that the division would provide $25k/year). Reports to initiate the second year of funding, may be submitted below. Please answer the questions, and either upload a brief report or type it directly. All submitted proposals must follow the template provided above. All submitted proposals will be evaluated through a competitive peer-reviewed process involving representatives from the University of Ottawa, Ottawa Hospital Research Institute, and the Department of Surgery. Up to 6 Research Program Awards will be made available annually, including both new and established research programs. 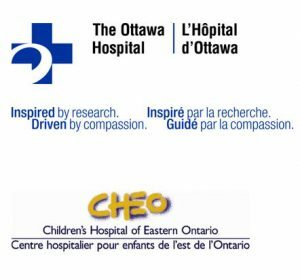 Matching contributions for each research award include $25,000/year/award contributed by Department of Surgery, $25,000/year/award contributed by division, and $10,000/year/award contributed by University of Ottawa. Each award has a two-year duration (pending the mid-award report). As principal investigator, the award winner will need to provide their individual cost centre to collect their award grant money. Once all matching contributions for an award winner are collected, the award will be disbursed to the award winner’s cost centre.